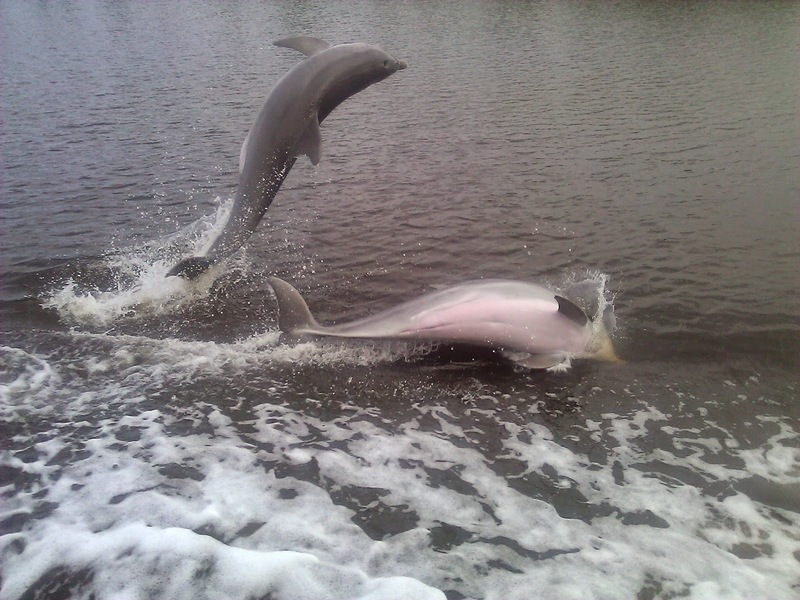 Just in case you have never seen Dylan and Dee Dee's blog before, Dylan loves dolphins. To make sure you fully understand, Dylan LOVES dolphins. On good days he spends most of his time underway running between port and starboard just hoping for a glimpse. However, we have a rule on aCappella that no dog is allowed outside the pilothouse alone when it is rough weather or dark out. We left Wilmington, NC to head offshore overnight to Charleston, SC mid-afternoon. 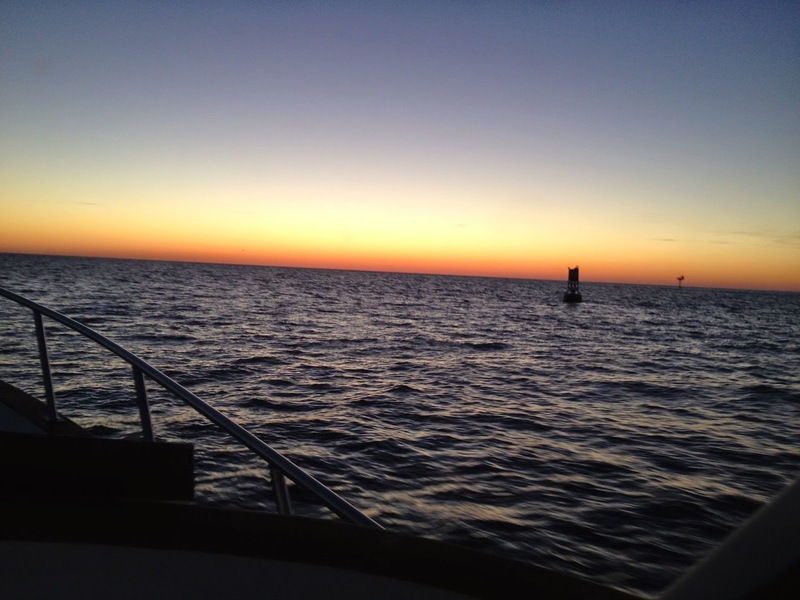 The plan was to head out the Cape Fear Inlet before dark. The sun was setting as we neared the inlet so we switched on our navigation lights and found that the stern light was not lit. 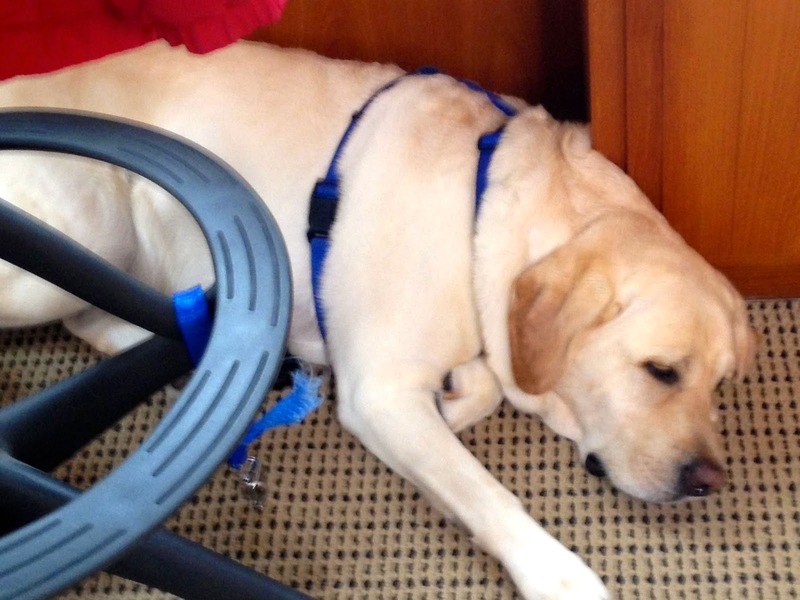 With Jeff leaning over the edge of the flybridge replacing the bulb, Dylan sleeping in his first mate position at my feet, and darkness quickly falling, a dozen or more dolphins appeared off our port quarter leaping high out of the water playing in our wake. What to do! Should I wake him and let him out to greet his buddies? There was just barely enough light to see them so is that really considered dark? Did I want two of my guys out there leaning over the side of the boat in darkness? In the end I simply enjoyed the sight and let Dylan sleep. I ask you, is he really being ripped off if he doesn't even know it???? Fooled you, he was dreaming of a huge pod of leaping Dolphins! What a great pic of the leaping duo. Some day soon I will be able to practice my dolphin photo technic. We normally get a ru ruuh after we pass them in the boat from our golden who too loves "whisper" dolphins. I think that she is saying "Go back".